False Bay orcas 'Port' and 'Starboard', who gained infamy by killing sevengill and white sharks for their liver, have been killed by a pod of lesser spotted leopard sharks, writes Will Ganoid. Shark scientist emeritus Professor Halycon Kockett, who headed up the necropsies, said that when divers discovered the two killer whales (Magnum nasum asinus) floating off Millers Point in False Bay this weekend, they immediately contacted the Save Our Cs Foundation because of a small hole in the top of the animals' heads. Professor Kockett said that only the brains of Port and Starboard had been removed, in a strange parallel to how Port and Staboard have been hunting white sharks and sevengill cow sharks in False Bay, and then removing only their livers. Their predations on white sharks and cow sharks has led to the exit of white sharks from False Bay, while the aggregation of sevengills has moved from their natural home off Miller's Point to white shark waters off Seal Island. In turn, in recent weeks, the vacuum left by the sevengill sharks off Millers Point has seen a massive influx of leopard bold sharks, with divers reporting aggregations of 1,000 or more at a time. "Our necropsy has ascertained that the leopard sharks (Triakis pseudofactsiata) hunted the two killer whales in a large group using collaborative techniques," she said. No other organ was removed, just the orca's brains"By the hundreds of bite marks along the torsos and fins of the orca, as well as blunt-force trauma to the front of their heads, it appears that 40 or more leopard sharks grabbed the killer whales and literally rammed them head-first against a rocky pinnacle or reef. With their prey stunned and confused, the leopard sharks removed the brains of the two orcas. 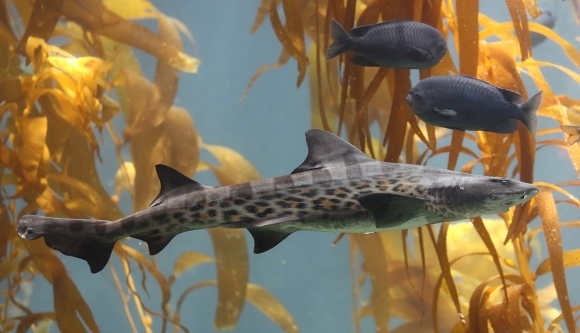 We were quite taken aback, because the leopard shark normally hunts squid and smaller prey." 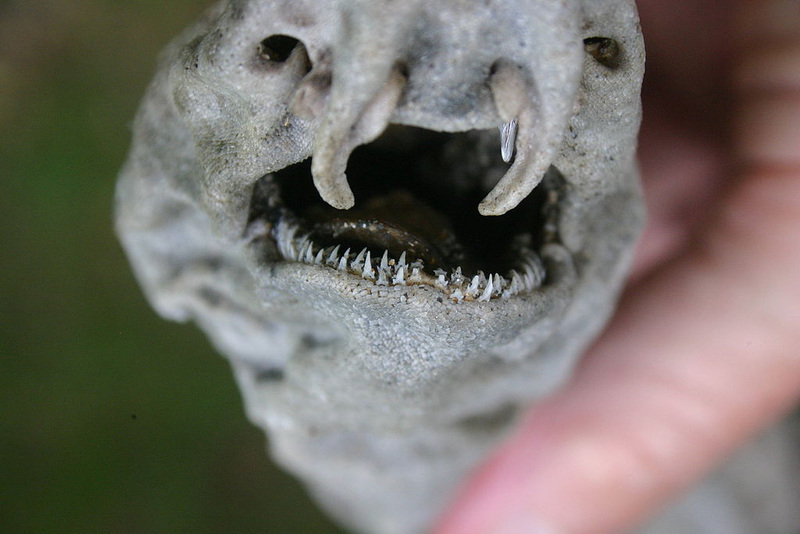 Professor Kockett said that although leopard bold sharks have a small mouth, they do have two immensely strong front two fangs to hook their prey. With a sharp set of small teeth, they used a combination of cutting and sucking when consuming their normal prey, but this was a world first. "In this case, in a quite macabre fashion, they used their very strong two front fangs to hook into the orca's skin when ramming them. Then, with their razor teeth, they sawed through the head bone and then took turns sucking the brains out. Like the white sharks and sevengill sharks, who were found only with their livers removed, no other organ was removed, just the orca's brains." Professor Kockett was fascinated by the behavioural change that led to the attacks, and in particular to the level of communication that resulted in such a sophisticated collaborative hunting technique. "Only recently have scientists been discovering something in nature we like to call morphotypical anthromorphic telepathy." It was a kind of silent communication by the lepoard bold sharks with a collective goal in mind, she said. "Many people will find this hard to believe, but we are of the opinion that by constantly using anti-predator adaptation techniques, the leopard bold shark has inverted this process to target its prey rather than merely mimicking their predator's defence warning mechanism. As you may know, some harmless species evolve to imitate the warning signals of a harmful species." "They have observed the orca hunting their nemesis the sevengill cow sharks, who love to eat leopard bold sharks, and now its a sort of payback time. They are basically experimenting with techniques to invert this prey/ predator relationship. It's really quite smart." WHO ME? The mostly spotted Leopard bold shark has changed its spots to become the predator. 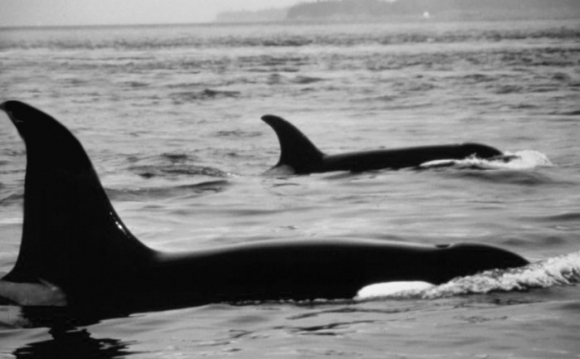 "But the key finding is that they ate the brains of the orcas in an attempt to grow their collective intelligence. We believe that the leopard bold shark wants to move up the food chain, and is using the orca as a stepping stone. Currently, they're about fifth, with orcas at the top, then white sharks, then sevengills, with the venomous Striped Horse Anenome (Alba equus-ebrius-est) just above it." Professor Kockett said that in rare instances animals had made behavioural changes based on their strategic mimicry of human mores (essential or characteristic customs and conventions of a society). "In this case, in a sense, it was to take out the 'boss'." "We call this Bio-inducive Batesian Mimicry Advance," she said, "They have gone a step further than merely mimicking their prey, but are actively hunting them." Professor Kockett, who worked with shark scientists Dr Sammy Engelberger and renowned shark watcher Selena Warish on the necropsy, said they would be releasing a paper that would shake shark knowledge foundations to its cartiliginous core. Warish famously jumped out of a boat off Cape Point to swim with a pod of breaching white sharks to prove they don't see humans as prey. Her memior "Where is My Right Foot" was on the best seller list in Myanmar for four days. As I read this I so wanted it to be real , very well written and the type of tale I was looking forward to repeating. Love it well done. I see you swallowed the story as intended, hook, line and sinker, but with a curious, semi-suspension of disbelief. You're right. It is a lie. A horrid untruth! Fake news! This was kind of the ... er ... point? Happy April Fool! By Will Ganoid (Ganoid: a primitive fish that has ganoid scales, e.g. a sturgeon or freshwater garfish). I am in fact related to Steve Pike (he's a bit of a fish as well, also quite a long pointy one, only he's more scaly than me :) but I have to be careful what I say. He has more teeth! Absolutely brilliant piece. Hopefully everyone who reads it will not cause a furore on social media and see it as the Gospel truth! Thank you for putting a smile on my face. I got caught with this one! Fascinating.Do mammals exhibit the same behaviour? April the first it is. 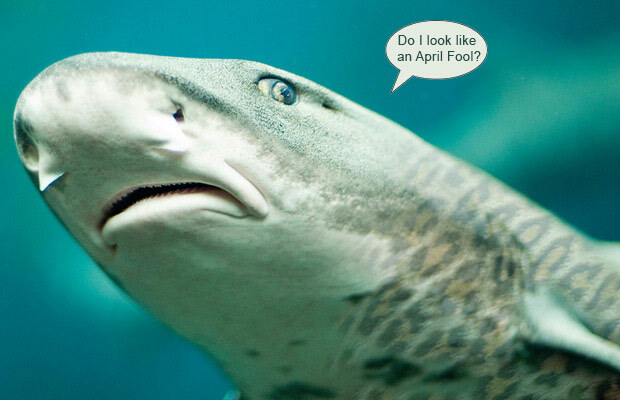 I understand that this could be thought to be an April Fool's prank, but it is a blatant lie and sharks have enough of a bad rap to have to deal with stupid, lies as well! Leopard sharks are only found in North America and Mexico, they grow to all of 10 kg's, but not everybody knows this, so please refrain from posting this sort of nonsense on an open forum.